Jimi is a J-shaped extension that eliminates the need to strain to reach the USB port at the back of the iMac. Simply plug Jimi into the USB port at the back of the iMac and extend the bottom of the “J” to snap into place along the bottom vent of the computer. 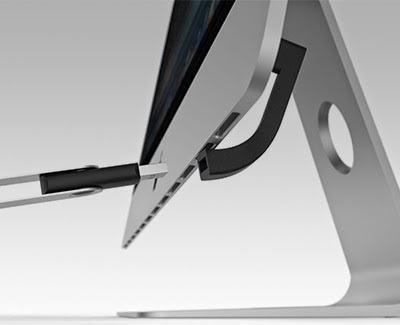 Jimi is exclusively designed for the iMac Slim Aluminium Unibody model (released November 2012) or later. Available in the UK for £12.95 from Amazon. The Denny (built by fabricator Taylor Sizemore) sports a minimalist frame, which hides the tech packed inside. There's an electric motor on the front hub (with a removable battery) to boost your hill-climbing. That's married with a computer controlled automatic shifter that automatically adjusts to ride conditions. To combat showers, it uses a simple device with rubber bristles to break up the water, rather than a fender. The Denny also has safety features like daytime running lights, brake lights and turn signals activated by bumping the brake handles. The handlebars function as either a nifty quick locking system, or detach fully to secure the frame and back wheel. For now, the bike remains experimental as part of the Oregon Manifest Bike Design Project. However, whichever bike wins the contest will go into production, and previous champs like the Faraday Porteur have lived on as crowdfunded production models. Brewbot uses sensor technology to track and automate the beer brewing process. Simply follow the instructions in the app, add the ingredients when prompted and, hey presto, you can call yourself a brewer. Monitor, track and understand how water turns into beer using the mobile app, from adding the ingredients on brew-day to the day it is ready to drink. 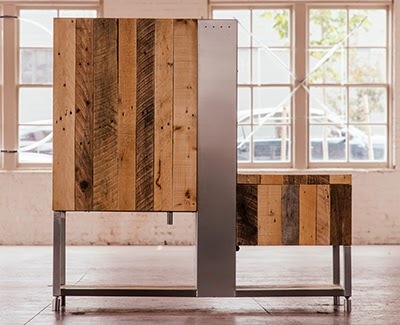 Brewbot provides an insight into how your beer is doing every step of the way. Join the community and begin brewing your own Brewbot Ale by picking up a Brewbot at the special pre-order price, starting at £1,700. Current orders are shipping in September 2014. One Girl / One Boy - !!! Encore Une Fois - Sash! The SB5c features 27.5-inch wheels, a compromise between the lighter weight of 26-inch wheels and steam roller-like qualities of a 29er. According to some industry experts, this in-between wheel size is also appealing to aggressive riders who want to get some air, and more petite riders who may feel overwhelmed by 29-inch wheels. There’s also a new suspension platform that optimises pedalling efficiency by smoothing out small bumps and offering controlled travel during descents. 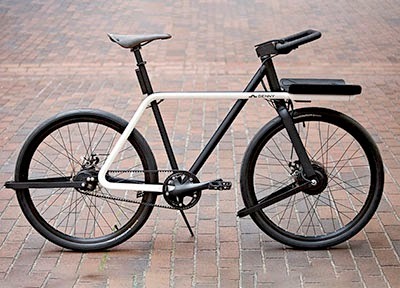 It uses a 'translating pivot' system composed of a pair of short rails above the bike’s bottom bracket. The carrier goes up on these rails to make pedalling smoother, and as rear travel increases, this hardware moves downwards on the rails to increase chain tension and give a better path for the rear wheel. 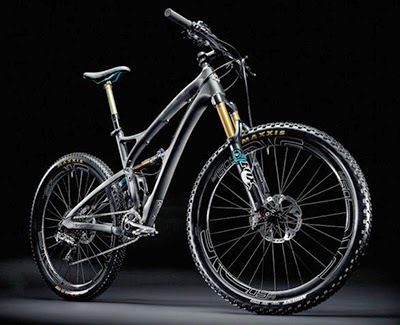 Some other notable specs include 127mm of travel on its Fox Float rear shocks and a 140mm fork; Shimano XT disc brakes; and a SRAM 11 speed cassette. Its curvaceous frame comes in turquoise or black, and the whole setup weighs in at 26 pounds before pedals. The SB5c ships now starting at $6,600 with a SRAM X01 build, but can run up to $10,600 if you opt for SRAM XX1 parts and an Enve M60 wheelset. 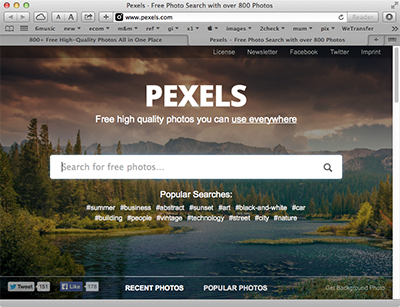 If you’re looking for a convenient, singular source of great photos to use in your design projects, head over to Pexels — an image-based search engine that only features copyright-free public domain photos. Pexels looks for photos from sites like Unsplash and Gratisography, and then pulls them together in one spot. Finding photos by subject is easy because the site takes the time to tag each image it features. The search engine has over eight hundred free photos, with thirty new photos added every week. In 2008, Van Aken learned that an orchard at the New York State Agricultural Experiment Station was about to be shut down due to a lack of funding. This single orchard grew a great number of heirloom, antique, and native varieties of stone fruit, and some of these were 150 to 200 years old. To lose this orchard would render many of these rare and old varieties of fruit extinct, so to preserve them, Van Aken bought the orchard, and spent the following years figuring out how to graft parts of the trees onto a single fruit tree. Working with a pool of over 250 varieties of stone fruit, Van Aken developed a timeline of when each of them blossom in relationship to each other and started grafting a few onto a working tree’s root structure. Once the working tree was about two years old, Van Aken used a technique called chip grafting to add more varieties on as separate branches. This technique involves taking a sliver off a fruit tree that includes the bud, and inserting that into an incision in the working tree. It's then taped into place, and left to sit and heal over winter. If all goes well, the branch will be pruned back to encourage it to grow as a normal branch on the working tree. After about five years and several grafted branches, Van Aken's first Tree of 40 Fruit was complete. 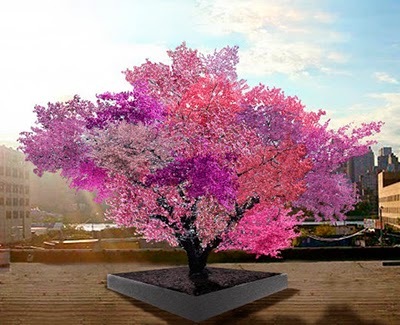 It looks like a normal tree for most of the year, but in spring it reveals a stunning patchwork of pink, white, red and purple blossoms, which turn into an array of plums, peaches, apricots, nectarines, cherries and almonds during the summer months, all of which are rare and unique varieties. Not only is it a beautiful specimen, but it’s also helping to preserve the diversity of the world’s stone fruit. Stone fruits are selected for commercial growing based first and foremost on how long they keep, then how large they grow, then how they look, and lastly how they taste. This means that there are thousands of stone fruit varieties in the world, but only a very select few are considered commercially viable, even if they aren't the best tasting, or most nutritious ones. "I've been told by people that have a tree at their home that it provides the perfect amount and perfect variety of fruit. So rather than having one variety that produces more than you know what to do with, it provides good amounts of each of the 40 varieties. Since all of these fruit ripen at different times, from July through October, you also aren't inundated." Read the rest of the interview, here. 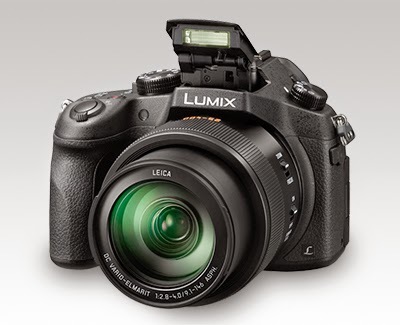 Digital Photography Review has published a full review of Panasonic's premium superzoom. "The DMC-FZ1000 is one of the most exciting 'compact' cameras to come along in some time. The combination of a 1"-type sensor and bright 25-400mm lens make the FZ1000 a compelling choice for both the traveler and someone who wants a camera that does both stills and video very well." "The FZ1000 is the first compact camera to support 4K video recording (at an impressive 100Mbps bit rate), so it's ready for the next generation of televisions." "Exposure is generally accurate, with highlight clipping not being a huge issue. Colours have a nice vivid look to them, without being over-the-top like some other consumer-level cameras." "Panasonic has taken a relatively conservative approach to noise reduction, leaving more grain than the Sony RX10, which tends to brush away fine detail. The FZ1000 maintains fine detail until about ISO 3200 and you can comfortably shoot a stop higher, after which you'll want to downsize or switch to Raw." W"hile image quality is close to that of interchangeable lens cameras at their base ISOs, the FZ1000 falls behind relatively quickly due to its smaller sensor. That said, no ILC offers the same combination of size, video, and price as the FZ1000." "Video quality is excellent. 4K video also allows one to capture 8 megapixel stills, which look very good. The 1080p video is top-notch." "The FZ1000 is one of the most responsive compacts we've seen, whether it's startup speed, autofocus, or the user interface. The autofocus speed is what really stands out, regardless of the lighting condition. The FZ1000 has an available electronic shutter, which allows for silent shooting. You can compose your photos and movies on either a fully articulating 921k dot LCD or via a gorgeous XGA electronic viewfinder." All life is ultimately powered by electricity, albeit indirectly, since most organisms consume sugars that produce electrochemical reactions. Several types of bacteria are known to skip the sweets and go straight for the electrons, however - and researchers have discovered that they may be everywhere. New Scientist reported that biologists have grown bacteria (Mariprofundus ferrooxydans PV-1) that harvest electrons directly from iron electrodes. Several species were teased out of soil from a seabed floor and deep well in Death Valley, California, just by applying a charge to the ground. In a lab environment, a separate team found that they can be kept alive exclusively with electricity. Scientists found that up to eight species may eat and excrete electrons, including some with remarkable properties. 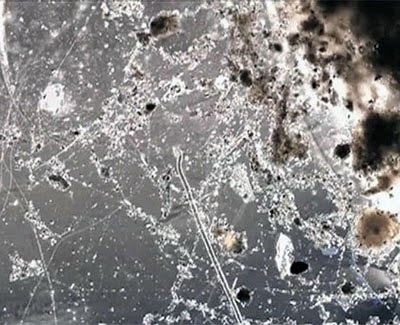 For instance, hundreds of thousands of bacteria can form daisy-chained "wires" an inch or so long, and tap seawater oxygen for energy. Such filaments can hold soil together and conduct electricity about as well as standard copper wire. Those properties could lead to interesting practical applications, like "SPUDs" or self-powered useful devices that clean up pollution, or bacteria that create electric "biocable" networks in the soil. 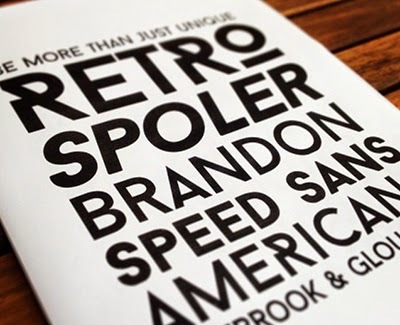 The Intro type system consists of 50 unique font styles and weights. Two are available free. 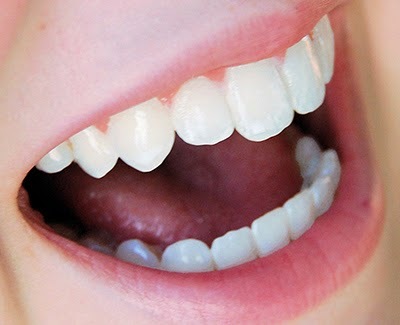 Scientists have developed a new pain-free filling that allows cavities to be repaired without drilling or injections. The tooth-rebuilding technique developed at King's College London does away with fillings and instead encourages teeth to repair themselves. Tooth decay is normally removed by drilling, after which the cavity is filled with a material such as amalgam or composite resin. The new treatment, called Electrically Accelerated and Enhanced Remineralisation (EAER), accelerates the natural movement of calcium and phosphate minerals into the damaged tooth. A two-step process first prepares the damaged area of enamel, then uses a tiny electric current to push minerals into the repair site. It could be available within three years. Professor Nigel Pitts, from King's College London's Dental Institute, said: "The way we treat teeth today is not ideal. When we repair a tooth by putting in a filling, that tooth enters a cycle of drilling and refilling as, ultimately, each 'repair' fails. "Not only is our device kinder to the patient and better for their teeth, but it's expected to be at least as cost-effective as current dental treatments. Along with fighting tooth decay, our device can also be used to whiten teeth." Wired has published a review of LG's Android smartwatch. "The company’s new G Watch is the first of three Android Wear smartwatches — the other two being the Motorola Moto 360 and Samsung Gear Live. It comes with an always-on, 1.65-inch LCD display and a 1.2 GHz Snapdragon processor with 4 GB of memory." "the G Watch feels like the worst parts of your smartphone strapped to your wrist, plus Google Now and some third-party app integration." "the G Watch comes with a 280 x 280 pixel resolution LCD display that’s bright and clear, although it’s unreadable in bright sunlight. A replaceable 22mm synthetic band straps that LCD watch face to your wrist. The band, inlaid with shallow diamond-shaped indentations on the inside, feels very thick. It never blends seamlessly into your daily experience — you’re aware there’s a watch there. Its rectangular face measures approximately 38mm x 47mm x 10mm." "While Android Wear has promise — the user interface is clean and intuitive, and there’s a clear, easy way for third party developers to get their apps onboard — it’s hardly a saviour for our smartphone woes. In fact, the watch is mostly a hell of constant, vibrating notifications. You can cease the constant buzzing by going into the Android Wear app and selecting which ones you don’t want notifications from; you can also temporarily silence the watch. But in both cases, it silences indiscriminately." Luckily there’s far more to the watch than just Gmail notifications. Android Wear’s third party app ecosystem promises to open up infinitely more use cases. After granting developers access to its API on the 7th, there are currently 33 Android Wear-optimised apps, including software from entities like Pinterest, Runtastic, Eat24, and BandsInTown." "One thing LG’s G Watch does do well is voice control. You don’t even have to hold the watch up to your face, a simple utterance of “OK Google” instantly brings up the voice command interface, letting you record a note, set an alarm, make a simple query, search directions on Google Maps, and more. 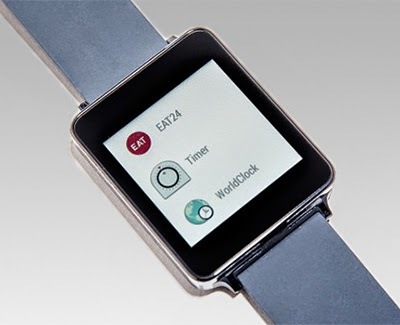 When you get a text or Hangout, you can dictate and send a reply straight from the watch. It does a stellar job of interpreting what you say so long as you’re in a reasonably quiet location." "The G Watch is water and sweat resistant, but it isn’t truly waterproof. It charges in a small cradle that the watch face magnetically snaps into. You can easily use 80 to 100 percent of its battery in a day, so you’ll want to keep this charging cradle at your office desk or by your bedside." "The goal of wearables, smartwatches in particular, is to free you from your smartphone dependence. “Look, now you don’t need to pull your phone out of your pocket to check what that notification was. A discreet glance at your wrist will let you know if it’s important or not!” False. When your wrist is vibrating constantly it’s both irritating and distracting for you and everyone else around you. 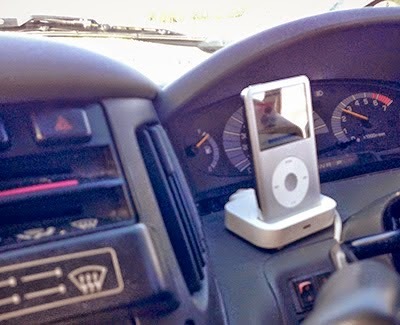 And unlike a smartphone tucked away in a bag or pocket, you can’t ignore it." IBM's big blue scientists have been given the money to solve a problem that lurks not so far in our future. That problem is the imminent breakdown in conventional chip operation and chip materials as we shrink transistor gates from today's 14nm process size to 10nm and 7nm. At around 7nm, which most industry observers expect we will hit in the early 2020s, more and more jostling electrons will jump in and out of gates, leading to a frustrating problem known as gate current leakage. 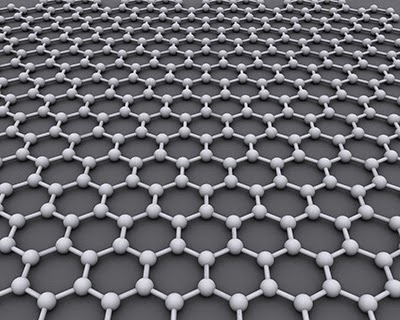 The company sees carbon nanotubes (CNT) as a good candidate for the replacement of silicon as they are "three to ten times better than silicon tech on a [process] node-to-node basis". Production of CNT at mass scale is ramping up as well, he said: "You have to make carbon nanotubes with purity levels that are six nines. Today we are at four nines and over a year ago [we were] at 98.5 percent." Alongside CNT, IBM is also working on III-V MOSFETs, which are transistors designed to better cope with the aforementioned leakage problems. 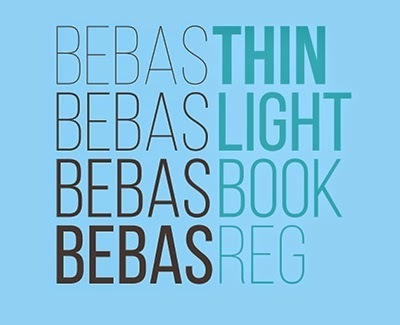 Bebas Neue is a sans serif font family based on the original Bebas Neue free font by Ryoichi Tsunekawa. If you’ve ever sent an email that you immediately realised wasn’t complete, contained errors, or, even worse, was to the wrong person, you know that feeling of dread. For web-browser Gmail users, an optional setting offers a layer of forgiveness to those situations, providing the ability to recall a sent email. Go to gmail.com and log in to your Google account as usual. Click on the gear icon/settings button in the upper right corner of the Gmail inbox window, then choose the “Settings” option from the pulldown menu. Select the “Labs” tab. Locate “Undo Send” by ‘Yuzo F’, check the “Enable” radio box and click 'Save Changes' at the bottom of the window. Next, go to the “General” tab within Gmail Settings, locate the “Undo Send” option and adjust your recall email/undo send cancellation period. Again scroll to the bottom and select “Save Changes”. To use the feature, send any email, and you’ll find an “Undo” option available next to the “Your message was sent” box that shows up in yellow at the top of the screen. 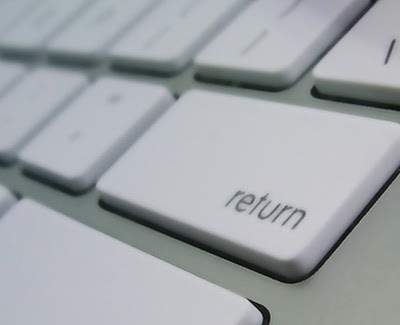 When you click “Undo” the email becomes unsent, returns and becomes a draft, allowing you to amend and resend the message. 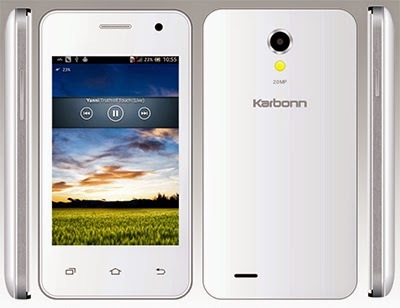 For the same amount of money as an Apple adapter plug, Indian mobile company Kabonn is selling a fully fledged Android smartphone. It is on sale now at a starting price of 2,699 rupees, or twenty-six of your British pounds, SIM-free. It’s only 2G with EDGE support, but it does have a 2MP pixel main camera, VGA front camera and 2GB of internal memory – of which they claim 600Mb is free. This is expandable to 32GB with a micro SD card. It also has a micro USB charging port. Its 3.5-inch capacitive touch-sensitive screen has a pixel resolution of 480 x 320 and a 1100mAh battery that is good for a day. The size of the screen means it’s small at 61.8x115.7x10.5 mm and light at 120g. Based on a 1.2GHz dual core processor, it supports Wi-Fi, GPS and Bluetooth. The A50S is a dual SIM phone and runs Jellybean. Baron is an uppercase display typeface designed by Frank Hemmekam reports: [edited]inspired by the classic sans serif font families. 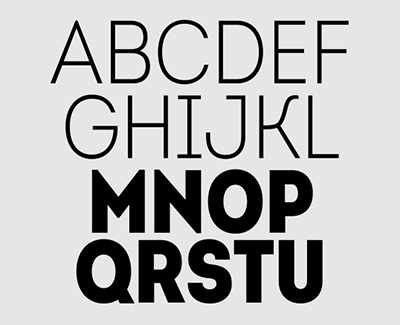 With many alternative characters it is perfect for usage in posters/logotypes and headlines. Free for personal use and commercial use, Frank is keen for people to send him links to examples of his typeface being used. Electrically driven cars are the future. But until we have cheap, 1000-mile batteries, we still need range-extending fossil-fuel engines. The simple solution is to strap a generator to a piston engine, as BMW did with the two-cylinder range extender in its i3 EV. But if the engine never turns a wheel, there's no need for it to rotate anything. Why not cut out the middleman and use the piston's reciprocating motion to generate electricity? That obviates camshafts and most other rotating parts, too. Toyota recently showed a prototype engine that does just that. It's called the Free Piston Engine Linear Generator (FPEG). "Free" refers to the fact that the piston isn't attached to a crankshaft; instead, as the piston is forced downward during its power stroke, it passes through windings in the cylinder to generate a burst of three-phase AC electricity. The FPEG operates like a two-stroke engine but adds direct gasoline injection and electrically operated valves. It can also be run like a diesel, using compression rather than a spark plug to ignite its fuel mixture. Toyota says this mechanically simple engine achieves a claimed thermal-efficiency rating of 42 percent in continuous use. Only the best, most complicated, and most expensive of today's gas engines can come close to that number, and only in specific circumstances. Even better, a two-cylinder FPEG is inherently balanced and would measure roughly 8 inches around and 2 feet long. 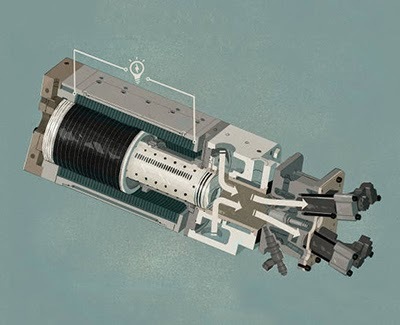 An engine of that size and type could generate 15 hp, enough to move a compact electric vehicle at highway speed after its main drive battery has been depleted. The Super Falcon Mark II represents the pinnacle of personal submersible technology. Completely redesigned following the successful Super Falcon Mark I, the Mark II is designed to do barrel rolls with dolphins, spy-hop with whales, and will take you anywhere you want to go underwater, in style, safety, and comfort. Designed with safety as the number one criteria, all Super Falcon Mark II craft are subject to DeepFlight’s stringent testing standards, and are proof-pressure tested for safety. Unlike all conventional submersibles which use ballast to descend, the DeepFlight Super Falcon Mark II is always positively buoyant — with auto return to the surface — providing unparalleled safety. 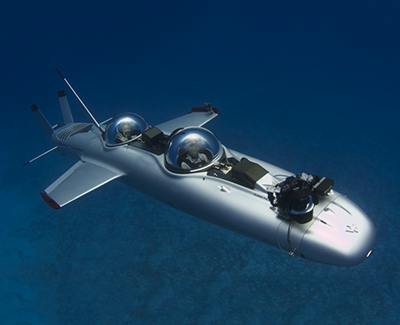 Forget everything you know about submersibles: the Super Falcon Mark II with its low frontal area and lightweight proprietary pressure hull, is designed around the pilot. Flying the Super Falcon Mark II is a radically different experience, connecting you to the blue space around you like never before.